I am continuing the article regarding Clark County, Washington’s improved Mental Health Court, starting with qualifying felonies and continuing forward, victim input, restitution, crimogenic risk factors and referral and intake process. A felony with a Sentencing Reform Act (SRA) Seriousness Level that does not exceed Level III. The defendant’s offender score must be 9 points or less. Exceptions to the above policy must be approved by the Chief Criminal Deputy or the Prosecuting Attorney and documented by the assigned DPA in the file. A defendant’s criminal history and documented mental health history will be taken into account when considering exceptions, to the above policy considerations. In all cases in which there is a victim, the assigned DPA must make reasonable efforts to contact the victim and give the victim an opportunity to comment on the defendant’s request to participate in Mental Health Court. Substantial weight will be given to the victim’s input when the prosecuting attorney is evaluating whether to refer or admit a candidate to the MHC program. Said another way, victim input will be a critical component of the decision to refer or deny referral by the Prosecuting Attorney’s Office. Restitution on the case(s) being referred must be paid down to $3,000.00 or less prior to entering Mental Health Court. Restitution must be paid before the defendant’s case is dismissed. The defendant must agree to pay all institution owed. If the court makes a finding that the defendant is unable to pay restitution, and the defendant is otherwise eligible to graduate front the program, the defendant will plead guilty to gross misdemeanor charge (the State will move to amend if no misdemeanor in original information). The court will order a Deferred Sentence, the only condition of which will be payment of restitution set in the contract. Once the restitution is paid, the charge may be dismissed. The Vancouver City Attorney’s Office and/or the Prosecuting Attorney’s Office will run a full NCIC III criminal history and gather any pertinent police reports as part of the suitability screening process. information that will assist in the suitability screening process. The TSC Coordinator or Probation Officer will gather any background or current case information that will be pertinent for suitability for the program. NOTATION: a defendant may NOT be referred after his/her case is called ready. At time of referral, Defendant signs a consent and release of confidential information for eligibility determination. Defendant must also sign a speedy trial waiver to allow time to undergo mental health screening and for the Mental Health Court team to staff the case. Referral and consent forms are maintained by the TSC Coordinator and will be placed in a confidential file separate from the criminal file subject to public disclosure. MHC Treatment Probation Officer will conduct an initial screening and risk assessment with the defendant to help determine eligibility criteria. The defendant will have a mental health evaluation with a certified mental health treatment agency of his/her choosing using the DSM-V diagnostic criteria. The evaluation will be provided to the MHC Probation Officer. The MHC Probation Officer, with additional informed consent, provides a copy of the screening and risk assessment, along with the mental health evaluation, to the MHC team which includes but not limited to the Vancouver City Attorney and County Prosecutor’s Office. 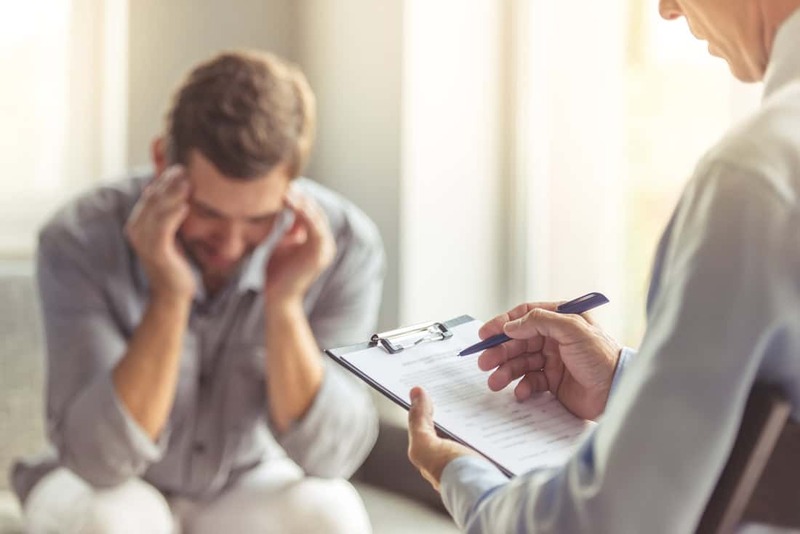 The assessment will at a minimum include (a summary of) the available mental health records from previous treatment and/or clinical history of the defendant, the diagnostic formulation/diagnosis, an assessment of dangerousness, indicator of client needs and any co-occurring issues. During each week’s pre-court staffing, each referral will be staffed and voted upon by the MHC team for eligibility and suitability for the MHC program. If the defendant is not accepted, the designated defense counsel of the MHC team will notify the appointed defense counsel and assigned prosecutor/city attorney on the pending criminal offense of the decision and the case(s) will track in the traditional judicial system.